Today is my birthday and I baked myself a cake over the weekend. A pink coloured cake to be exact as I do like pink. However I'm not the fanatical "pink" type of person where my whole wardrobe or furnishings are smoothered in this colour. I love a subtle pink hue and I think the "little" girl in all of us, do! Anyway today is suppose to be a happy occassion - however a tinge of sadness does underlay it. The sad part is that I would never be able to to celebrate such days with my dearest LT. In the more than 15 years I have known him, he was never the type to display the romantic side of himself in public. However on special occassions he would present me with little gifts when I least expect it of him. He knew I liked pink and he would go out to buy me small little items in this colour, such as handphone cover, a pink tee shirt, pink golf set covers. I remember on my birthday last year when I picked him up after work to go out for dinner, he sheepishly placed something at the back of the car. I didn't know what it was until we reached our destination. 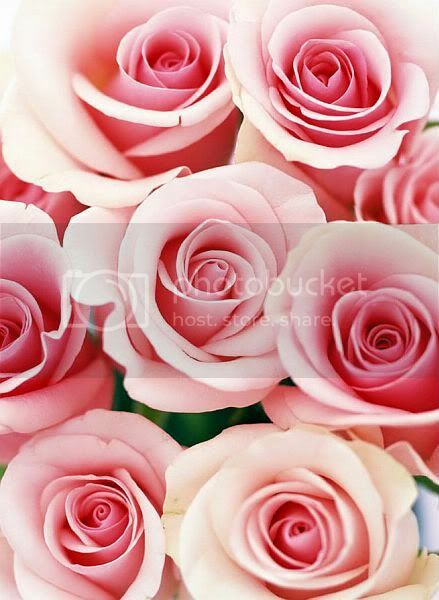 He then told me that he had bought a dozen and half pink roses for me. In the day time he would ride a motorbike (as it was easier because of the work he did), so I can only imagine how he had transported the roses back from the florist. I thought it was so sweet of him to do this. In writing this, I dedicate this post to my dearest LT and to everyone who is in love. 2) Sift the flour, sugar, cocoa, baking soda, baking powder, and salt into the bowl of an electric mixer fitted with a paddle attachment and mix on low speed until combined. 3) In another bowl, combine the buttermilk, oil, eggs, and vanilla. With the mixer on low speed, slowly add the wet ingredients to the dry. With mixer still on low, add the coffee and stir just to combine, scraping the bottom of the bowl with a rubber spatula. 4) Pour the batter evenly into the prepared pans and bake for 35 to 40 minutes, until a cake tester comes out clean. Cool in the pans for 30 minutes, then turn them out onto a cooling rack and cool completely. 1) Beat butter with electric mixer until fluffy and pale. Transfer to small bowl. 2) In double boiler over simmering water, whisk sugar and egg whites until warm and sugar is dissolved, 2 to 3 minutes. Transfer to clean bowl of electric mixer; beat on high with whisk attachment until fluffy and cooled, about 10 minutes. 3) Reduce mixer to medium-low; add butter a scant 1/4 cup at a time, beating well after each addition. Mix in vanilla. 4) Switch to paddle attachment; beat on lowest speed 3 to 5 minutes. Leave at room temperature if using same day. (If you are staying in the tropics, it is best to put the frosting in the fridge for about 30 minutes before using.) Or store airtight in refrigerator up to 3 days. Bring to room temperature; beat until smooth. Jo, very very pretty cake and I love the colour contrast between the dark chocolate and the pretty pink frosting. LT will approve, I am sure. Happy Birthday, Jo! Pretty pink cake! Happy Birthday Jo:) That's a beautiful cake! Happy birthday. This cake is a beautiful way to celebrate. Happy Birthday Jo! 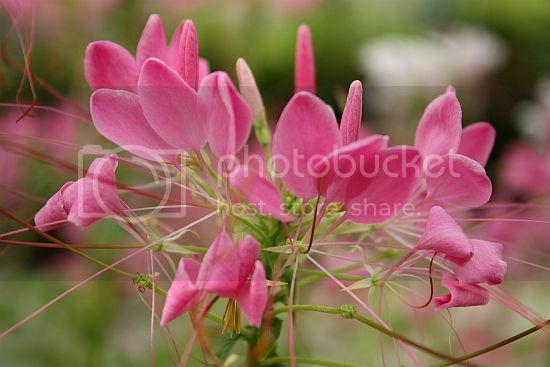 Lovely pink! My fave colour! Happy Birthday Jo, the cake is so pretty, I love he light pink color frosting! The cake looks very pretty and amazing, like usual. Here's wishing you many happy returns of the day, and every other day. This cake is so lovely. 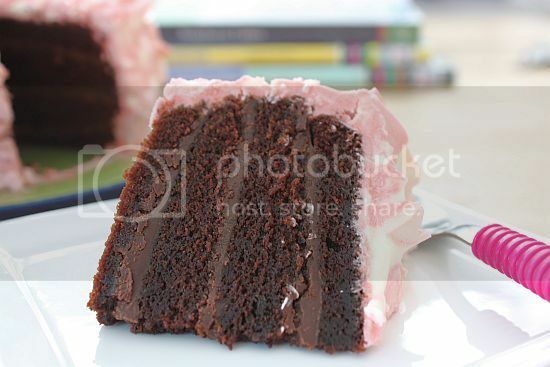 Love the contrast between the chocolate cake and pink icing. Happy belated birthday, Jo. Your cake is in the exact pink which I adore, very sweet and pastel. Happy Birthday Jo. Best wishes to you on this special day. That is a beatiful tribute to LT. God Bless his beautiful soul. Jo stay strong and be happy. Happy Birthday Jo.. Not sure what happened, but hugs to you. You've baked a very nice pink cake there! Happy Belated Birthday!! Sorry to hear about the sad story. Your cake looks so sweet and pretty!! This is truly a very beautiful pink cake. The colour is really very sweet, just like you. Happy birthday. happy belated birthday! thats a lovely birthday cake. 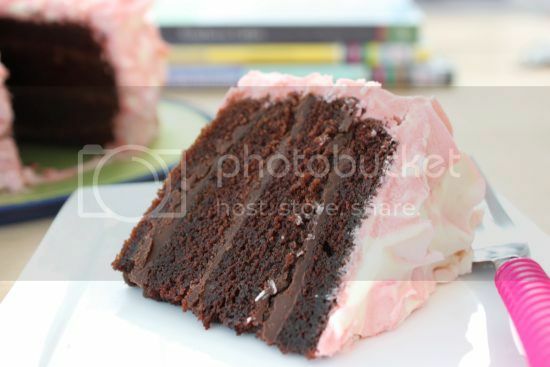 nice contrast of dark brown cake layers with pink coloured frosting. Hi all, many thanks for your wishes and thoughts. All of you are so sweet. Hi arfa, I used a sour cream chocolate ganache and the recipe is posted in my triple chocolate cake as well as the matcha macaron posts. It is a very versatile frosting and left overs can be kept for months in the freezer. 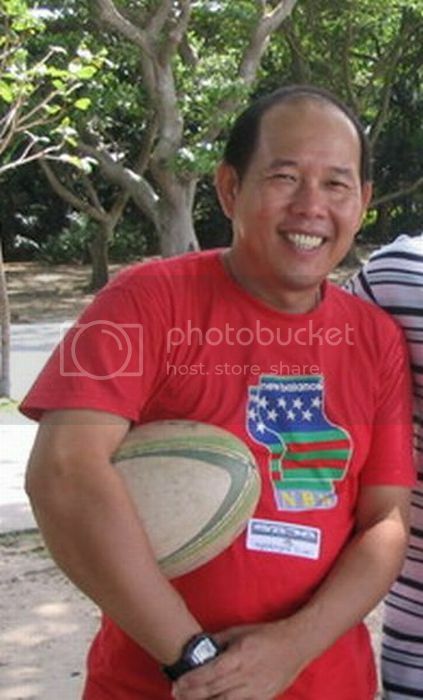 Hi Jo, I'm an ex-colleague of Steven's in KL and he suggested your blog for recipes. Would like your permission to try this cake as my son loves chocolate cakes and I have tried two other recipes in the past but yours is the first one that I notice requires one cup of brewed coffee and so much of cocoa powder so it looks very tempting.